And here we are at the dam at Upper Lliw. A quaint little reservoir and there does appear to be a track all around it - though I have never walked around Upper Lliw, generally because it is a bit far to carry or walk or pram children. The dogs would be willing though and I doubt it would take more than 40 minutes to walk around this small reservoir. You can see the end of it in the above picture so it is not very large at all. There is no car access to this reservoir. As stated earlier, the only way to get here is to walk from the car park at Lower Lliw. There is a cottage at the top and usually a couple of cars ouside, so the only way they get up here is on the tarmacadam path you have walked up. 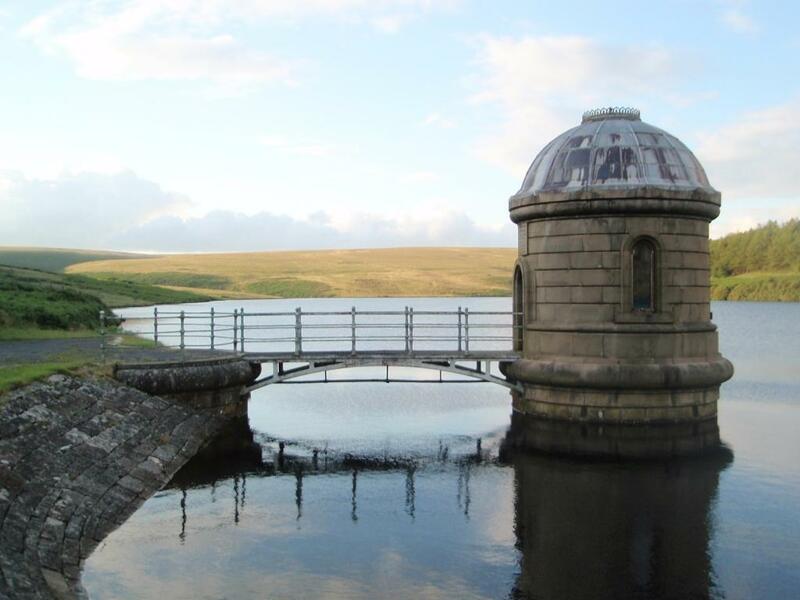 See useful Lliw Reservoir walks guide here if you want to go beyond the 'easy' paths on this walk.